If you have been listening for any time here, you know that the hub of your business is your marketing website. Somebody needs a strategy to organize your site and it needs content, but not just any old content. A lot of people do keyword articles where they choose a keyword and then they go off to Elance or somewhere like that and hire someone to write them 10 articles based on the keyword they chose. That doesn’t work anymore. Those are boring and people want real information. So what you should do is write articles based on real questions your customer asks which will not only help them out, but it will be authentic and personal. 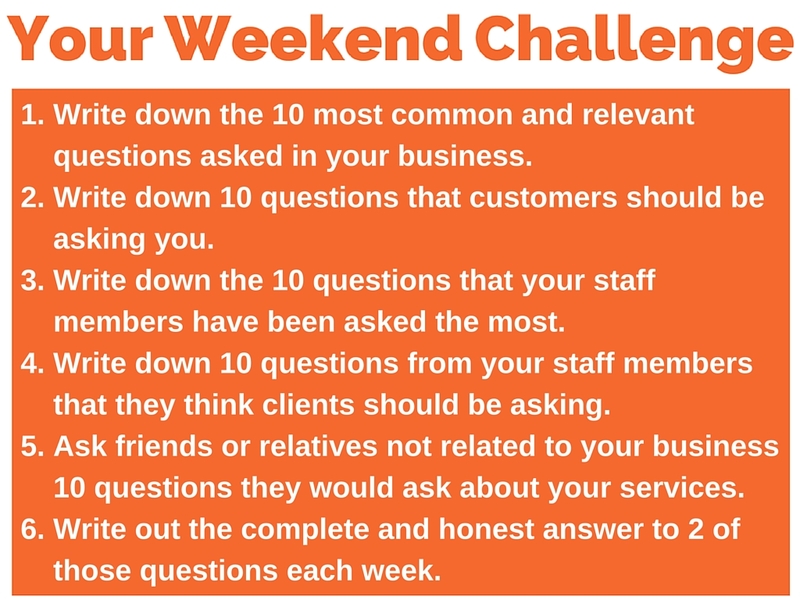 Now, this is your weekend challenge by the way and when you get done, you will have 6 months of content to share on your website. 1. Common Questions: Write down the 10 most common and relevant questions that have ever been asked — these are regarding your business. Yes — if it includes asking about a price on a product, give them an average or a ball park of what it is based on. 2. What Should They Be Asking You? 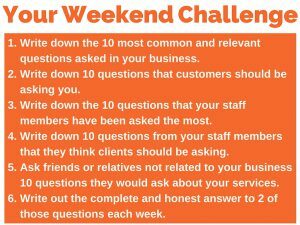 : Write down 10 questions that customers should be asking you. But – what they should be asking are things like, how long do they last, what additional costs should I spend on the upkeep? These are what you should be answering. 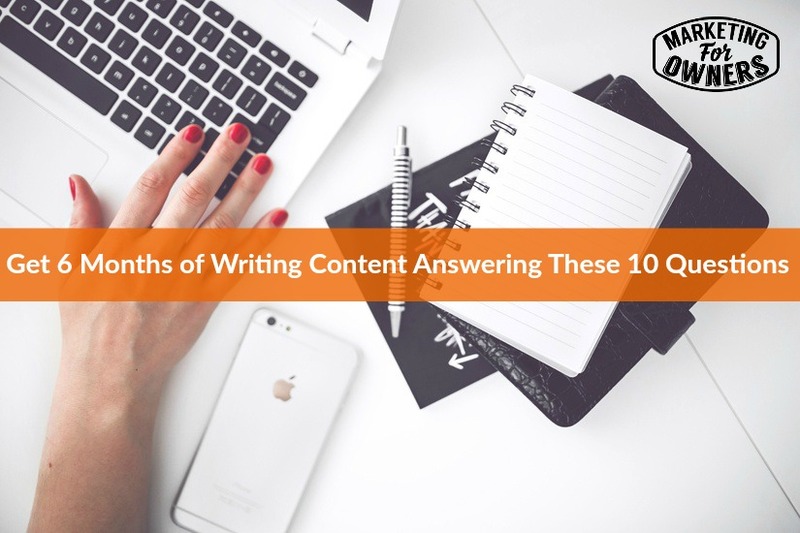 Those are the questions that you write down — you need 10 of them. 4. Staff/Client Questions Should Be Asking: Now, this will be the same staff member from above. What questions do they think customers or client should be asking? 5. Ask a Friend or Relative Who is Not Related to Your Business: Ask them to tell you 10 questions that they would ask about your business products or services. You can ask and get as many as you want, but just start with 10. 6. Write out the complete and honest answers to 2 of the questions every week: By doing this, you will have 6 months of content with 2 posts per week. This is also things your customer wants to know! You will be amazed at what a difference this will make. Have a great weekend! Enjoy your Thanksgiving weekend and I will chat more with you on Monday.